This entry was posted in Energy and tagged Allison Macfarlane, Arnie Gundersen, California, California Public Utilities Commission, CPUC, Crystal River, decommissioning, Florida, Florida Power & Light, FPL, heat transfer tube, leak, Levy County, NRC, nuclear, nuclear con, Nuclear Power, Nuclear Regulatory Commission, Progress Energy, radioactive steam, S David Freeman, SACE, San Onofre, SCE, SONGS, Southern Alliance for Clean Energy, Southern California Edison, turbines, Turkey Point by Gregg Levine. Bookmark the permalink. If one can sum this situation up in one word you have already done so beautifully, MADNESS! Thanks for all your efforts to inform people of the dangers of Nuclear Energy and for pointing out the fraud(s) that are routinely perpetrated against them by this most dangerous of industries. Fabulous post. 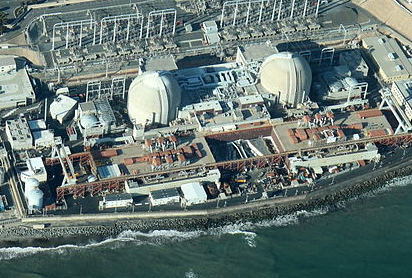 Have you seen Edison’s San Onofre Information Package? It looks like it’s geared to Tuesday’s NRC meeting.